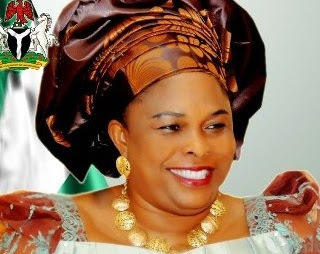 I hear Patience Jonathan is expected back in the country before the end of September ahead of Nigeria’s 52nd Independence anniversary. But my question is why is she hospitalised at the Horst Schmidt Klinik in Wiesbaden, Germany. While a section of the media said she underwent surgery for appendicitis, some others said she was being treated for food poisoning. Amidst the conflicting reports however, her media aides insisted that she only travelled abroad to rest after the stress involved in the hosting of the African First Ladies’ Conference in Abuja. They also insisted last week that they did not know when the President’s wife would return to Nigeria. But I heard that Patience would come back to the country before the grand finale of activities marking the celebration of this year’s Independence anniversary on October 1. A source in the Office of the First Lady said the ailing wife of the President had a role to play in one of the programmes outlined for the celebration and had expressed her desire to personally play the role. “It is only when madam does not return to Nigeria to personally handle the activity allotted to her office in the independence programme that you can now say that indeed, there is something wrong,” she said.